bedude, we'll be here waiting! 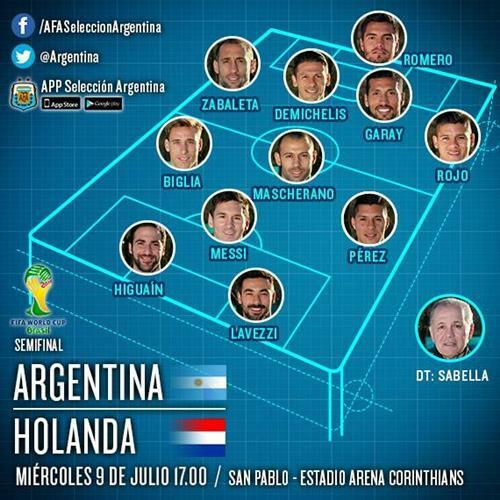 Looks like Netherlands are straying away from the 3-5-2 with wing backs. While I think Van Gaal will help ManU, they need to look down the road. Van Gaal has had a very short shelf-life at each of his stops. While excellent he rubs a lot of the people the wrong way. He is at best a solution for 2-3 years tops. How has Lavezzi looked in place of Aguero? Any difference? Looking back this comment, I think a 10 year old boy can do better on playstation. Good day Tom! so should we expect Krul to be ready on the bench should this go to PKs? 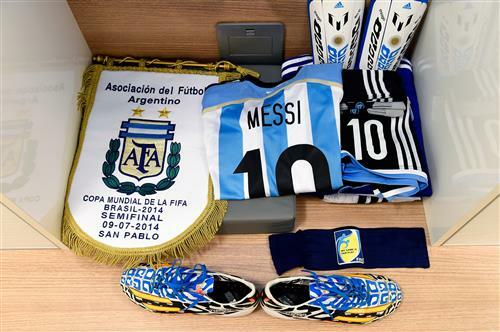 If it gets to that, he'd surely have the psychological edge - although Van Gaal may have had to make all three subs if Argentina push them to 120 minutes. This just in!! Germany just scored again!!!! Which espn correspondent have gotten the most correct predictions so far? jon, I don't like to brag... but definitely not me. Someone will see yellow for diving today. Tom: over/under that Tim Krul gets his own primetime HBO sports special after showcasing his trash-talking skills? Tom, can you send me a link to a Boot Room Recovery Class? I think I've become addicted. Hammin, I prescribe long walks twice a day, plenty of vitamins, and the occasional cry of GOAL! in the street to release the tension. So who do you think Germany would rather face in the final? A familiar foe? Or Messi & Co.? Lavezzi shoots more water at Sabella than on goal. 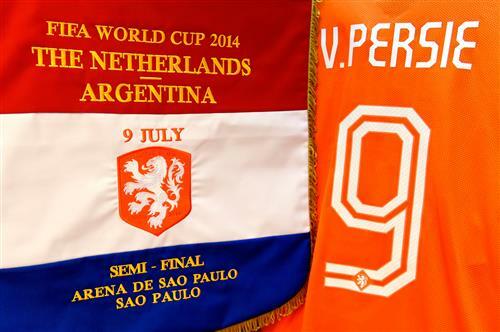 Robin van Persie is fit and ready for the Netherlands. Tom where are you based at while doing these boot rooms? Are you in Rio? Good call Rudy, that'll be the style I imagine. And caipirinha, I'm in sunny London! Would anyone put Romero or Cillessen in a Top 20 goaltender list?? Hammin, I said in the street! In December I would have given you whatever odds you wanted that Demichelis wouldn't be starring in the World Cup semifinals. Amazing stuff. bedude - theres no replacment for the boot room. games just dont seem the same with out it. Had to listen to the 2nd half yesterday on the car radio ... but it sounded like Germany took their foot off the gas and it could have been worse than 7-1 (based on what the commentators were saying). Tom - do you concur? Steve, Brazil imporved slightly in the second half, but Germany knew they were through and were effectively conserving energy, yet still won the second half 2-1. Brazil had no answer, but it could easily have been double figures.